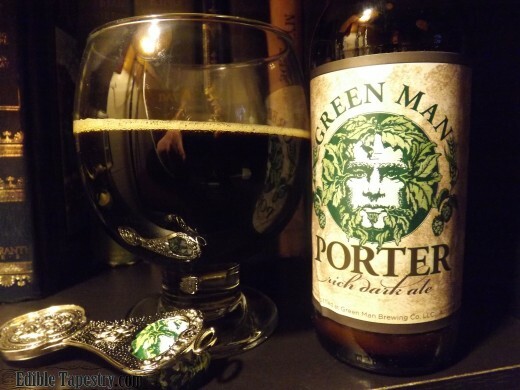 “Green Man Porter” ~ Easy to say, but still a mouthful. “Robust”, the label on my St. Patrick’s Day bottle of Green Man Porter Rich Dark Ale claimed. And, oh, is it ever?! Because it’s made in North Carolina, I decided to blog Green Man in April, North Carolina Beer Month. 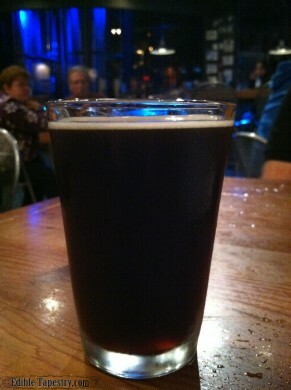 The Asheville Ale Trail is a good place to start if one is searching specifically for local, mountain area brews. Green Man Brewery, with its own tasting room in downtown Asheville, is part of the beverage tour which begins in Hickory, NC at Olde Hickory Brewing, and currently ends at Nantahala Brewing Company in Bryson City. A recently approved microbrewery in Franklin, Lazy Hiker, will be the southernmost location on the Ale Trail map when it opens in the summer of 2016. 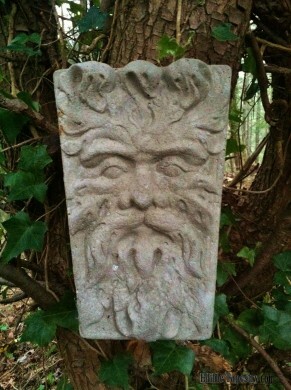 I find Green Man Beer most appealing, I’m a little embarrassed to admit, because I have a fondness for Green Man images. What can I say? 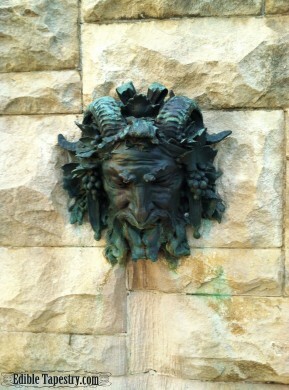 I simply love the Green Man. As a child, I read with fascination the C.S. Lewis books that featured people of the woods who danced under the moon. Of all the Narnia creatures, they were my favorite. Porter is my favorite type of beer, though I am a German girl who has sipped many a dark German bier, always warm like my mama taught me. I usually don’t drink lighter ales because I just don’t understand them. And you’ll never see me pop the top on a Bud, let alone a Bud Light. Why would I drink that when I could have a creamy, chocolatey, rich mouthful of THIS? It’s like the difference between raw sugar and white processed granulated, pure maple syrup and Log Cabin, milk chocolate and 85% cacao. And Green Man Porter certainly doesn’t disappoint. I could only think as I nursed my holiday bottle that every sip is a mouthful. « A Classic Pineapple Upside-down Cake ~ Dad’s Favorite!